Alvin C. Hill, Jr. is currently the Director of Diversity and Cultural Competence for The Milwaukee Center For Independence. 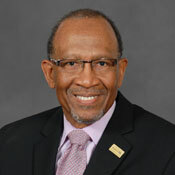 (MCFI) Al was promoted into his current position in September of 2006, and in this role, is responsible for the overall planning, implementation and oversight of MCFI’s workforce and supplier diversity strategies and initiatives with direct oversight of the agency’s MCFI Diversity Team which consists of ten members. Under his leadership, MCFI was awarded the Wisconsin Association of Equal Opportunity Strategic Diversity Council Award and The Wisconsin State SHRM Diversity Advocate Award. Al received his AAS Degree in Marketing from Milwaukee Area Technical College and is a graduate of the Defense Equal Opportunity Management Institute. Ed Williams Consulting – http://www. Wisconsin Diversity Jobs – http://www.